A sub is just a sub for Super Bowl Sunday and even though I know absolutely nothing about football, I get into the spirit of this All-American game by making my family football fans their favorite game food, calzones! Calzones are a lot easier to eat while cheering on the team than a sub, no messy dressing dribbling all over your hands, and they are healthier too. The filling can be made the day before. On game day, spread the filling on rounds of store-bought pizza dough and fold over the edges of the dough to make a half moon shape. Bake and serve warm. So here’s to Super Bowl Sunday! May the best team win! In a sauté pan, brown the pork in its own fat, along with the onion and garlic. Pour off the fat. Add the celery, carrot, sweet pepper, and fennel and cook, stirring occasionally, until the vegetables are soft and the mixture is fairly dry. Add the wine and raise the heat to high; continue cooking until most of the wine has evaporated. Transfer the mixture to a bowl and stir in the tomato sauce. Season with oregano, salt and pepper. Set the mixture aside to cool while you roll out the dough. Roll each piece out on the floured surface into a 6- to 7- inch round. Spread about 1/3 cup of the filling over one half of each round. Fold the dough over the filling to form a turnover or half-moon shape, and crimp and seal the edges with a fork dipped in flour. 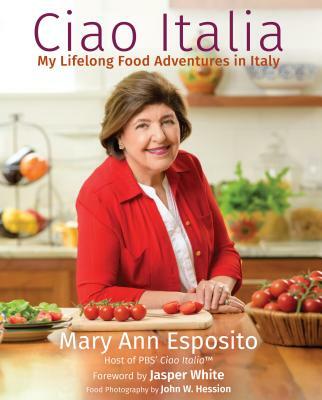 Place the calzones at least 1 inch apart on baking sheets that have been sprayed with olive oil. 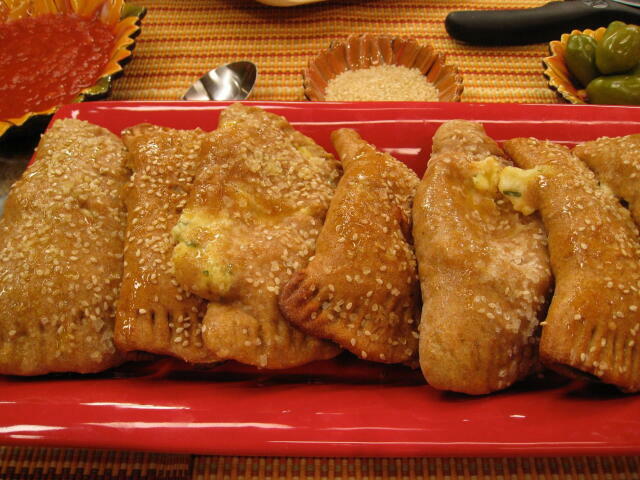 Brush the tops of the calzones with the beaten egg and sprinkle sesame seeds and coarse salt over the tops. With scissors, cut a small X in the center of each calzone. Allow the calzones to rise for 20 minutes. Bake the calzones for 25 to 30 minutes, until they are golden brown on the top and bottom. Remove them from the baking sheets with a wide spatula and let them cool slightly on cooling racks. Best warm. Hi, Carole, sorry, but Mary Ann's blog feature doesn't have that print function like her other recipes. Try selecting and cutting and pasting into a word document, then printing it that way.